- anyone interested in sharing some dance "know how" with an experienced dancer, teacher and DJ from far away :) - that is Cee Jay, from Edinburgh, Scotland. ... a little about musicality in Blues :) with an aside into Tango musicality and expression. Scotland’s Cee Jay started as a DJ for Modern Jive, then became a jive, modern jive and blues dancer, teacher and DJ. His experience as someone who studied a classical music degree as well as wrote and recorded 3 albums with his rock band inspired his choices and his leaning towards more expressive music and dancing. As a dancer, he has placed in UK national Modern Jive competitions for “Dance with a Stranger”, Aerials, Showcase and “Back to Basics” categories. Among the dance competitions he attended: National Ceroc Champs, Ceroc Midlands, Ceroc Scotland, UK Modern Jive Championships, UK Leroc Championships, Britroc Championships any many more. His musical background led him to teach musicality within Modern Jive, and then within Blues dancing, developing the ears of dancers, their listening skills and, hence, their ability to draw out every nuance from the piece being danced. CJ has taught at major weekenders all around the UK as well as teaching Modern Jive and Blues in Kenya (a safari & dance event). CJ has a regular venue in Scotland where he plays expressive guitar based music (“Mariachi events” - http://www.mariachi.info/), which allows for Jive, Blues, Tango and West Coast Swing in the same room, sometimes to the same song. An inspirational teacher, he is known for bringing fire, detail and nuance to his pupils’ dancing. Last but not least, he has become interested in tango and looks forward to go deeper into the bliss of tango world too. Price: 25 RON for the studio rent. Dancers are a special kind of people. 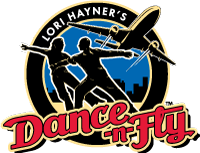 Most of their time is spent dancing, talking about dancing, taking classes or saving money for a dance event :) One great idea for dancers is Dance-n-Fly, the option to buy plane tickets with up to 50% discount to get to a West Coast Swing event. I think it rocks!